EA has released a Q&A on importing Mass Effect game saves into ME3 - it's what you'd expect but it never hurts to have these things clearly outlined to reduce any confusion or manage unreasonable expectations. What do I need to import my Shepherd into Mass Effect 3? 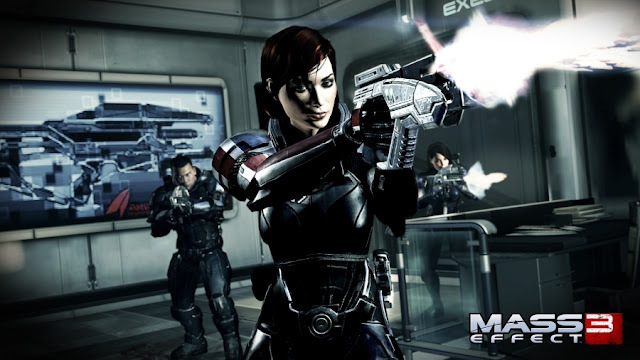 You must have completed the game in your Mass Effect 2 save file in order to import it into Mass Effect 3. Can you import a save file from Mass Effect into Mass Effect 3? No, Mass Effect 3 cannot import a save file from Mass Effect (1). You will need a completed save file from Mass Effect 2. Otherwise, Mass Effect 3 will prompt you to select choices from ME and ME2 when you create a new game. If Shepherd died in the ending of Mass Effect 2, will I be able to use that save file for Mass Effect 3? Nope! You need a save file where Shepherd survives the ending of Mass Effect 2. Will I be able to make changes to my Shepherd when I import? You will be given the option to alter the appearance of Shepherd, and you will be able to change class (i.e. Soldier to Adept) as well. NOTE: Some ME2 saves will not be able to import the face-file of your Shepherd. You will need to re-create the appearance when importing the file. Will I be able to import a save file from Steam into Mass Effect 3? Some customers are concerned that their Mass Effect 2 save files from the Steam version for the game will not work in Mass Effect 3, which requires Origin. Do not worry, any complete Mass Effect 2 save file can be imported into Mass Effect 3. This is an issue we are aware of, relating to cloud saves. Please check here for more info on this problem.